← Over 50,000 views since we started last fall–thanks folks! 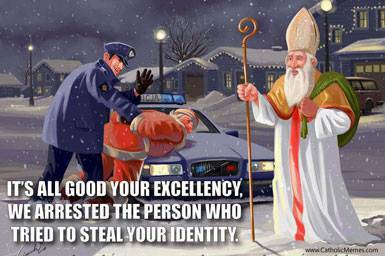 Happy Feast Day of the (real) St. Nick! Saint Nicholas (Greek: Άγιος Νικόλαος, Aghios [“holy”] Nicolaos [“victory of the people”]) (270–6 December 346) is the canonical and most popular name for Nikolaos of Myra, a saint and Greek Bishop of Myra (Demre, in Lycia, part of modern-day Turkey). Because of the many miracles attributed to his intercession, he is also known as Nikolaos the Wonderworker (Greek: Νικόλαος ο Θαυματουργός, Nikolaos o Thaumaturgos). He had a reputation for secret gift-giving, such as putting coins in the shoes of those who left them out for him, and thus became the model for Santa Claus, whose modern name comes from the Dutch Sinterklaas. In Britain he is known as ‘Father Christmas’. 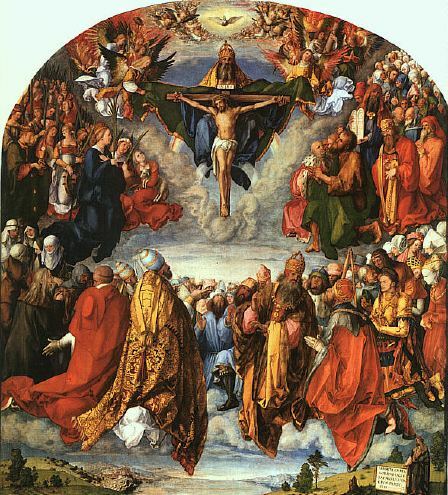 His reputation evolved among the faithful, as is common for early Christian saints. In 1087, his relics were furtively translated to Bari, in southeastern Italy; for this reason, he is also known as Nikolaos of Bari.His feastday is December 6. A poor man had three daughters but could not afford a proper dowry for them. This meant that they would remain unmarried and probably, in absence of any other possible employment would have to become prostitutes. Hearing of the poor man’s plight, Nicholas decided to help him but being too modest to help the man in public (or to save the man the humiliation of accepting charity), he went to his house under the cover of night and threw three purses (one for each daughter) filled with gold coins through the window opening into the man’s house. The historical Saint Nicholas is remembered and revered among Catholic and Orthodox Christians. He is also honored by various Anglican and Lutheran churches. Saint Nicholas is the patron saint of sailors, merchants, archers, thieves, children, and students in Greece, Belgium, France, Romania, Bulgaria, Georgia, Albania, Russia, the Republic of Macedonia, Slovakia, Serbia, and Montenegro. He is also the patron saint of Aberdeen, Amsterdam, Barranquilla, Bari, Beit Jala, Fribourg, Huguenots, Liverpool, Siggiewi, and Lorraine. In 1809, the New-York Historical Society convened and retroactively named Santa Claus the patron saint of New Amsterdam, the historical name for New York City. He was also a patron of the Varangian Guard of the Byzantine emperors, who protected his relics in Bari. My source for the above is the sainted canonical Wikipedia. For the rest of the article, see here. More St. Nick goodness, from new monastic Shane Claiborne. 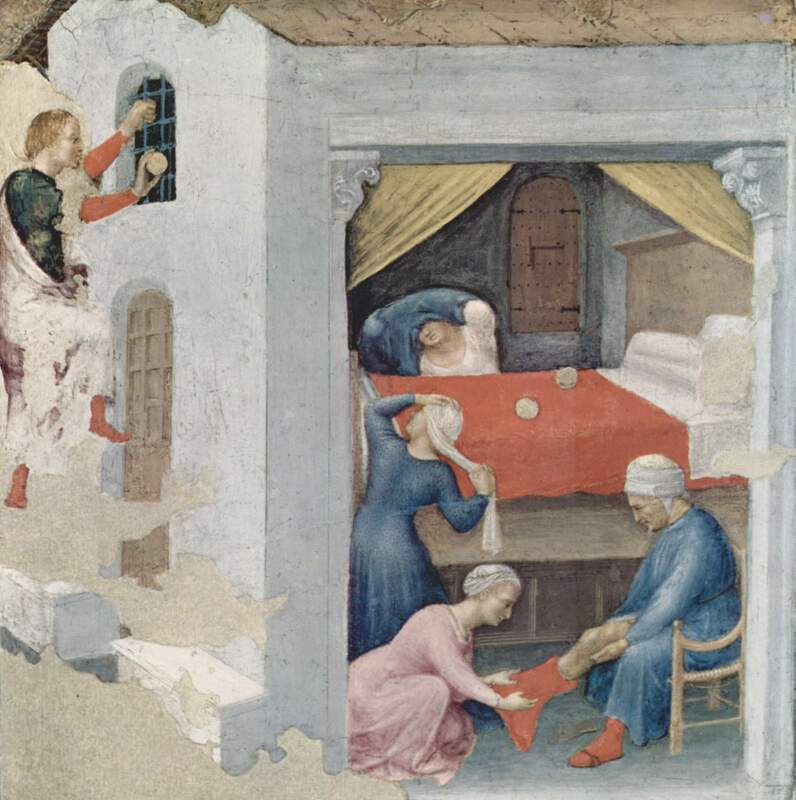 An excellent audio lecture on St. Nick by Patristics scholar John McGuckin. 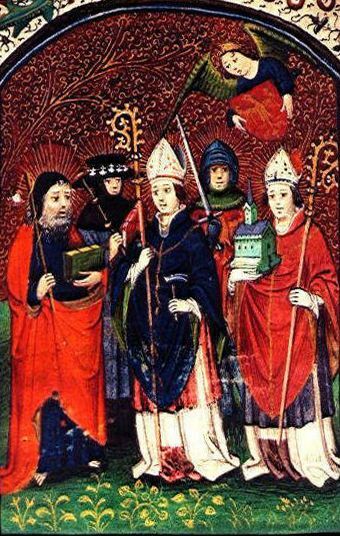 This entry was posted in Medieval Wisdom for Modern Protestants, Resources for Radical Living and tagged charity, Christmas, feast days, holidays, Saint Nicholas, Saints, Santa Claus. Bookmark the permalink.